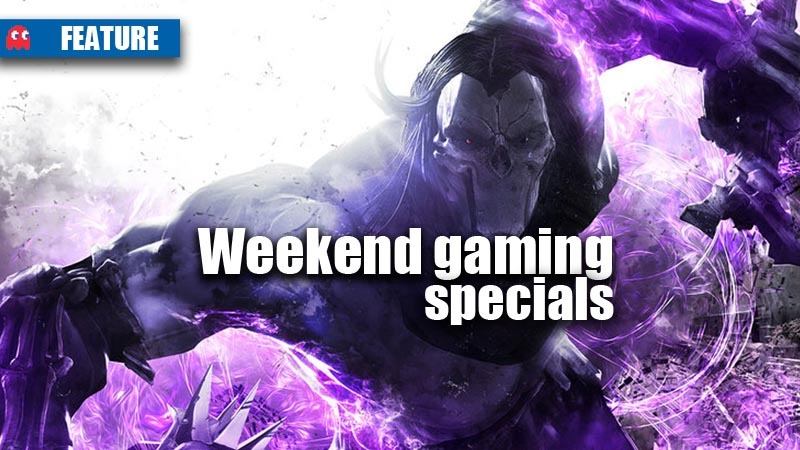 There are a number of specials this weekend from Zaps, BT Games, Makro, and Animeworx, all featuring a little something that could brighten up your gaming as the dreary winter approaches. 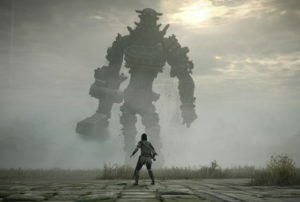 BT Games is offering up some a special prices on its PS Vita bundles, giving customers the option to choose their own bundled game or games. 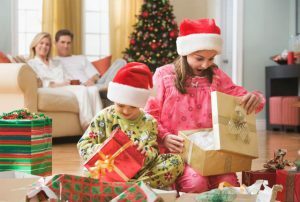 You get the WiFi PS Vita, along with the choice of either Call of Duty: Black Ops Declassified, Assassin’s Creed: Liberation, or both LittleBigPlanet and FIFA 13. 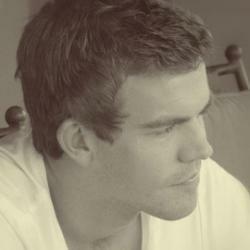 The special is valid in-store only until 25 April 2013. 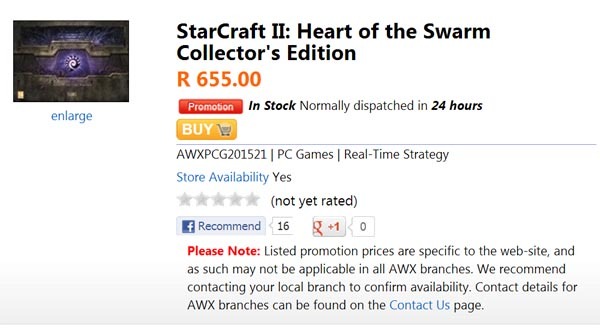 AnimeWorx has the Collector’s Edition for Starcraft II: Heart of the Swarm on special for R655.00. Collector’s Edition soundtrack CD: Enhance your Heart of the Swarm musical experience with this collection of more than a dozen tracks from the game. StarCraft 2 Torrasque: Crush the enemies of the Swarm with the indomitable Torrasque, a fearsome new look for your zerg Ultralisks. StarCraft 2 Battle.net portraits and decals: New Swarm-infested Battle.net portraits and decals help you customize the look of your online profile and in-game army. World of Warcraft in-game pet: The Baneling companion pet is bursting with enthusiasm and ready to explode onto the Pet Battles scene. Diablo III Blade Wings and Banner Sigil: Grow zerg-like wings in honor of the Queen of Blades, and unfurl an exclusive banner sigil to mark your allegiance to the Swarm in Sanctuary. 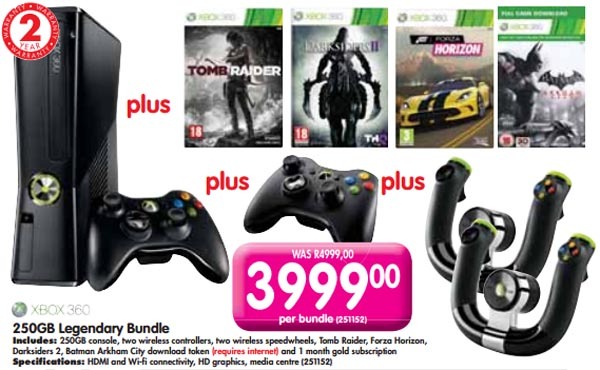 Makro has a special on its Xbox 360 console bundle this weekend. The bundle is priced at R3,999.00 and includes a 250GB black console, two controllers, two Xbox 360 steering whieels and four games – Tomb Raider, Darksiders II, Forza Horizon and Batman: Arkham City (download code). 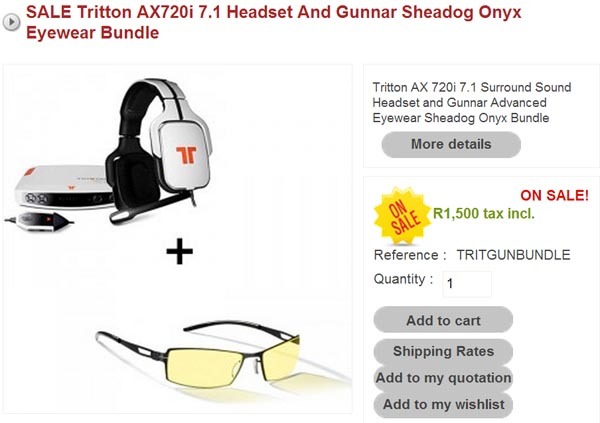 Zaps has a Tritton gaming headset and Gunnar glasses bundle running for R1,500. The special includes a Tritton AX710i 7.1 Surround Sound headset, and a set of Gunnar Advanced Eyewar Sheadog Onyx.